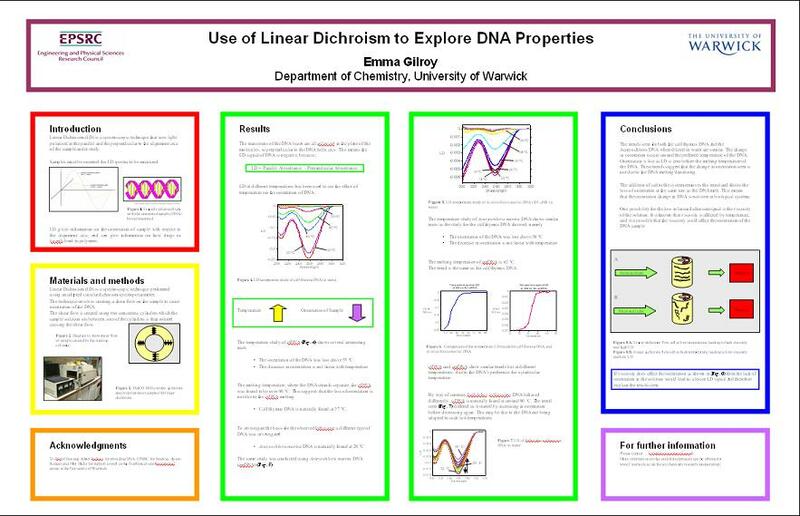 I entered the University of Warwick postgraduate poster competition. Unfortunately I didnt place. But I was given a lot of useful feedback on how to improve my posters in the future. The poster I presented there can be seen below. The main issue with the poster was the font size being too small and that the poster was aimed at scientists. The positives were in my presentation skills. These will be taken into consideration when I make my next poster. 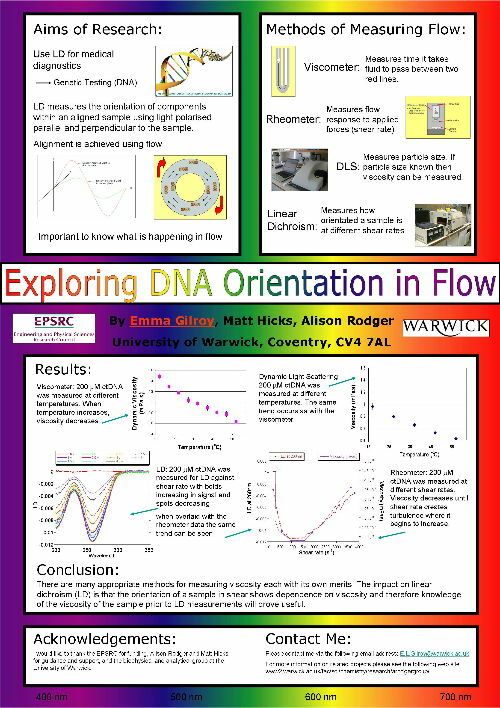 I entered a poster representing my second year research at both the University of Warwick, Department of Chemistry postgraduate symposium and the EBSA conference in Genoa, Italy. At the postgraduate symposium the poster attracted many questions and discussions in to my area of research, which I like to consider is the aim of a poster, so I am very happy with that response. I attended the British Society of Human Genetics (BSHG) conference in September 2010 which was held at the University of Warwick. I presented a poster there in collaboration with Addenbrookes Hospital which shows the work I did there.